We tend to get a lot of phone calls asking us to recommend a cross-cultural assessment instrument. Usually I ask what seems to me a very logical question: “What is it you are trying to assess?” I am then often shocked to hear that the caller is not able to answer my question! As an organizational effectiveness practitioner I am concerned with individual and interpersonal effectiveness as well as that of the overall organization. We all live and work within systems, and if that system rewards and encourages us NOT to be cross-culturally competent, we are going to nurse burnout if we try to demonstrate and develop that skill. Organizational systems and structures need to support and reinforce individual and interpersonal competence. 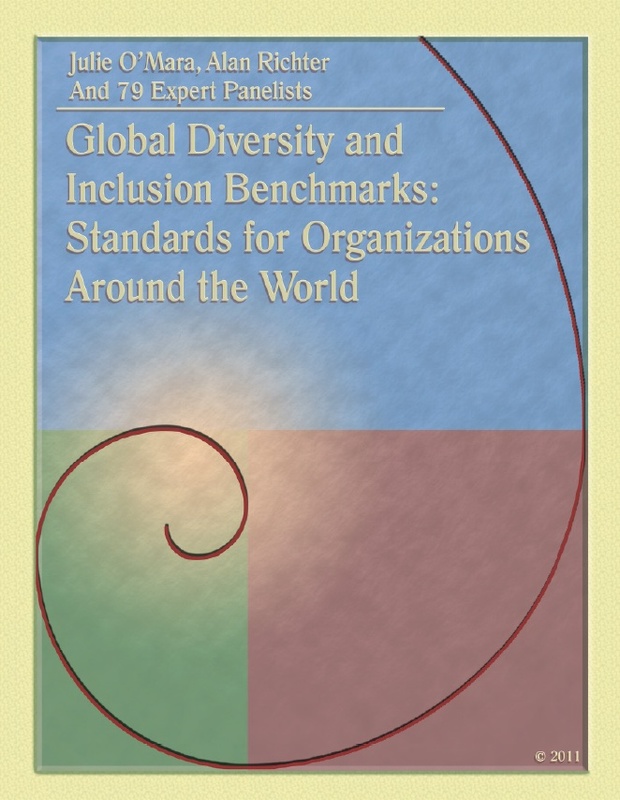 That is why “Global Diversity and Inclusion Benchmarks: Standards for Organizations Around the World” is one of my favorite assessment tools. Written by Cultural Detective Global Diversity and Inclusion co-author Alan Richter, along with the very talented Julie O’Mara, the tool is available for use free of charge, though the authors ask that you submit a written request for permission (julie@omaraassoc.com or alanrichter@qedconsulting.com). Newly updated in 2011, the 32-page booklet is based on a core model of 13 categories arranged into four key areas: Foundational Factors, Internal Abilities, External Benchmarks, and Bridging Competencies (you can already imagine how well this blends with a Cultural Detective approach!). The assessment instrument involves rating the organization at one of five levels for each of the 13 categories. Thus, it is very easy to use and educates as it assesses. The GDI Benchmarks are based on extensive contributions from 79 experts around the world, and were developed from groundbreaking research in the early 1990s. Please contact Julie or Alan to learn more. And please share with us your organization’s progress with these benchmarks as you use Cultural Detective! This entry was posted in Assessment tool reviews, Downloads/free gift and tagged assessment, benchmark, Business, Cross-cultural, Cultural Detective, diversity, diversity and inclusion, Education and Training, global diversity, intercultural competence, Management by Dianne Hofner Saphiere. Bookmark the permalink. Diane, thank you for this post! Where can I purchase the booklet? Olga, just click on the links above in the article. You can download the booklet, and contact the authors for permission to use. Best of luck! It is a terrific resource, Jenny. I am confident our readers will put it to good use. Thank you for the feedback!